DST Staff Sprung up to Clean up this Spring! 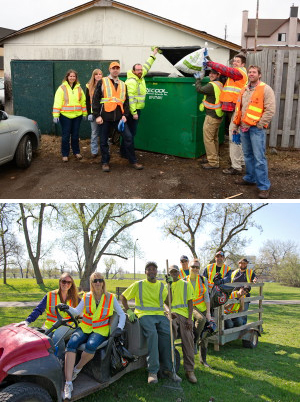 In May, DST staff in Ottawa and Thunder Bay participated in locally organized spring clean-up initiatives. The Ottawa team tackled the park across from Billings Bridge Plaza whereas the Thunder Bay team divided and conquered the area surrounding both DST offices.